Any computer will, at some point in time, experience a disaster of one sort or another that causes it to lose data. Your computer could crash, ]hard drives can go bad, viruses can destroy data, there could be a natural disaster, or the system might be stolen. This is doubly true of laptops and tablets, which are small, light, and easy to steal or drop. Yet most people don’t even think about the possibility of disaster until it’s too late. There data is gone, and they panic, and there’s nothing that can be done. And, of course, they don’t have a backup – not even a copy of their files on a flash drive. Livedrive is a handy, inexpensive solution. Note: Originally I recommended Carbonite. I can no longer recommend this product as their product terms and conditions only allow one internal drive to be backed up to the cloud. Additionally, the quality of their product support has fallen. Use Livedrive instead. I’ve been a professional in the computer industry for 35 years, and I’ve had to recover hundreds of computers from disasters. Sometimes we’ve gotten lucky, and the damage could be repaired and the data retrieved. At other times, sending a bad drive to a disk repair company was successful, although that’s often a long shot, and it’s very expensive. The problem with most backup solutions is they require manual intervention. Someone needs to drag files to a hard drive or run an application. If you’re anything like me, that will happen rarely, if at all. Life always seems to get in the way of running backups and performing other kinds of necessary system maintenance. Fortunately, there is a solution. If you’ve got a reasonably fast internet connection, purchase and install a product called Livedrive. This product, which works on both Macs and PCs running Windows, automatically backs up all of your data files (not your system or applications) over your internet connection to the cloud (it’s know as a cloud backup solution), where they are safe from disasters and evil-doers. I’ve been using Livedrive to keep my data safe for six years, and it has saved me on several occasions. it really is cheap, easy insurance at $59.99 per year for the basic plan, which is suitable for virtually all customers. Livedrive has no limits to the amount of data that you can back up to the cloud. In my case, I protect almost a full terabyte (that’s 1,000 gigabytes) of data through Livedrive’s backups. 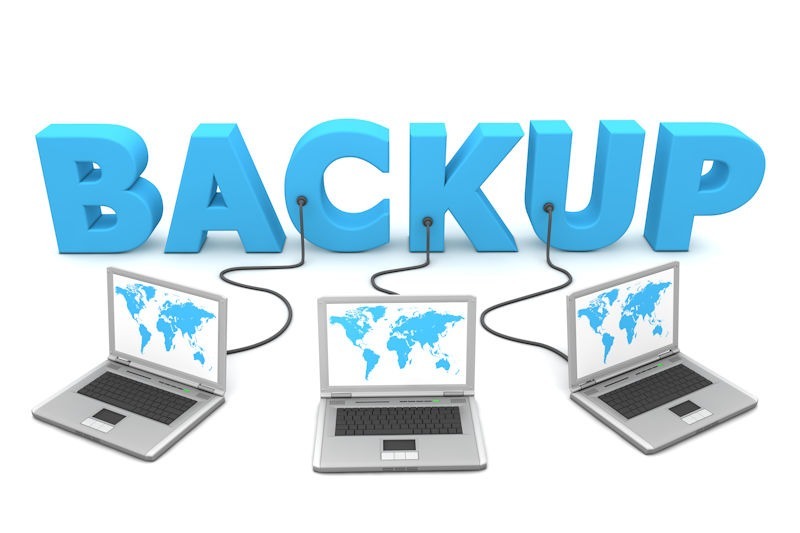 Most backup products force you to purchase disk space in the cloud if you exceed their limits. That’s fine when you don’t have a lot of data, but if you store videos or lots of photos, then you’ll exceed those limits very quickly. Restoring over the internet is trivial. Just use the browse function within Livedrive to find your files or folders and click restore. Livedrive then pulls the files and folders down from the cloud back to your system. This is especially useful if you accidentally delete a folder or files, or if there is a virus infection. You can retrieve the files you want. In fact, Livedrive will even let you restore earlier versions, which is great if a file becomes corrupt or you don’t like the changes you made. Their support is fantastic, their product is extremely secure and compliant with security and privacy regulations and standards. It does not automatically back up video files. You must select them manually. You cannot back up external hard drives. No system backups are made. For me, one of the absolute coolest features is you can browse your files from any device. For example,suppose you are traveling and you dropped and destroyed your laptop. No worries, you can access all of your files from your tablet, smartphone or another computer system. My recommendation is to spend the money to ensure all of your files are safe. You never know when disaster will strike, and if it does, it will be too late. Sad to say, I’ve not taken the automated backing up of my computers very serious. I’ve been living in a manual mode, or doing things in the cloud. Based on your review, this service sounds like a reasonably priced product. Now that I’m fulfilling my dream of being an author, it’s time I take myself serious and back up my hard work. I don’t want to experience the heart wrenching problem of weeks or months of work being unretrievable. I’ve used Carbonite for many years, as I said in the article, and it has served me well. The best part is it’s totally automated and the space is unlimited. After nearly falling for a scam the other day, I realize I must think about security more. Thank you for bringing this to my attention. Yes it is superb…by mean this we can secure our data for future. thank you for a brilliant suggestion.